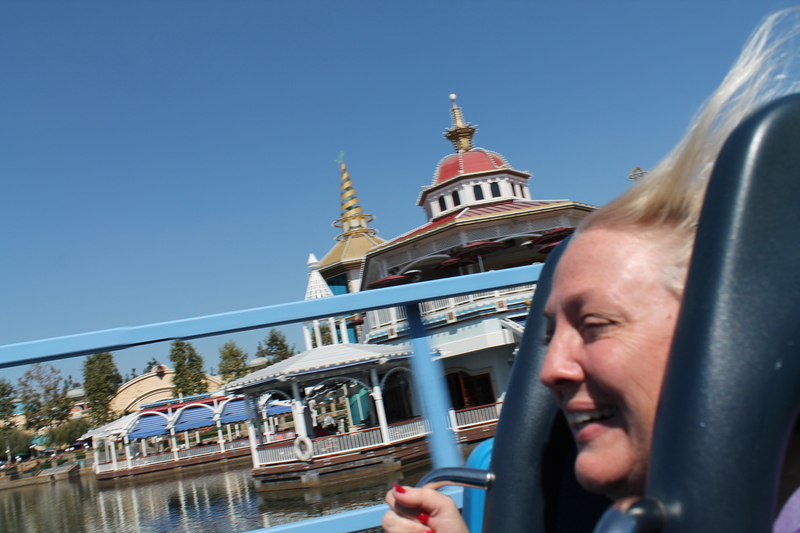 For the first full day of government furlough, Kathleen and I had planned on going to Disneyland. But first, I’d gotten a call last night from Rebecca, the organizer of the Cystic Fibrosis Foundation’s charity stair-climb. She said that we had a chance to change the race this year and run it all the way to the helipad on the roof of the building, and she wanted to see if I could meet with her at the building in the morning to survey the final few floors up to the roof. And since I’m on indefinite furlough, of course I could do that. I rode the train downtown with all the morning commuters, and when I got to the building, I went up to the main office so we could meet with the guy in charge of building security. I’d brought along a batch of my award-winning blueberry muffins. I asked them to give them to the evening shift guards, since they were very nice to us the last two months when we were training on the staircase there for the YMCA stair climb. 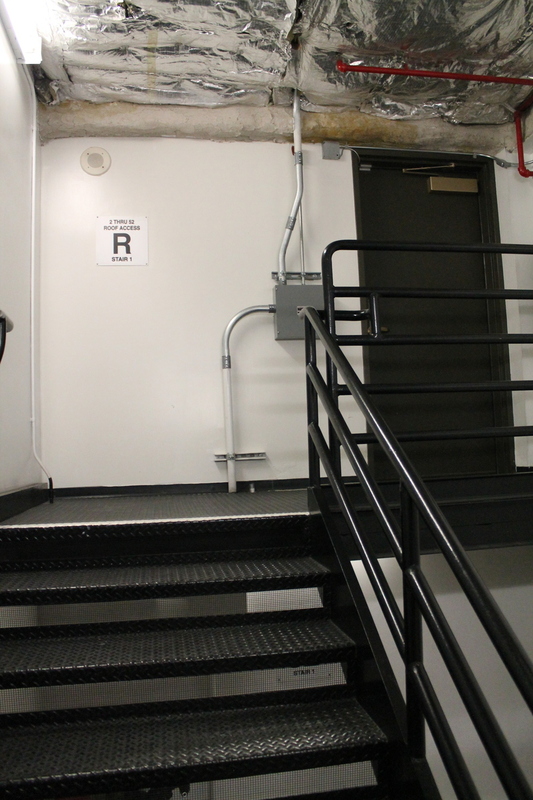 We took the freight elevator up to 51, which is where the race traditionally ended. After climbing that staircase 68 times over the last two months, there was no need to survey anything below 51. 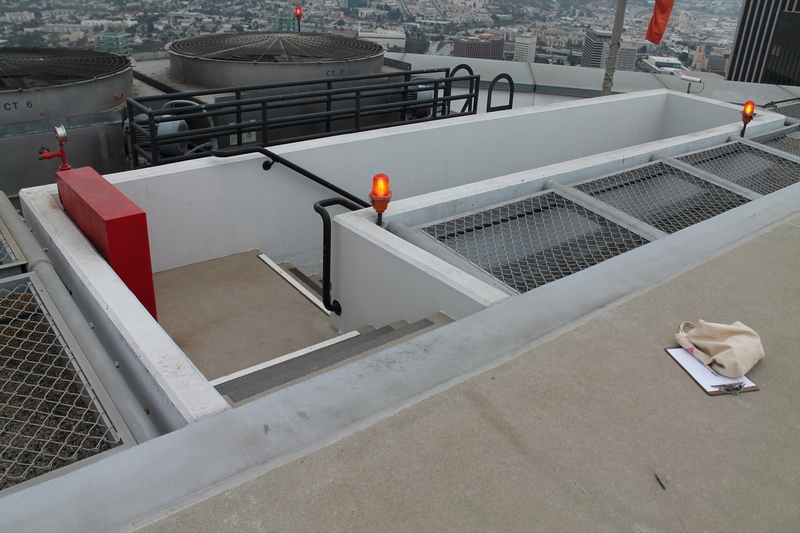 Then I got out my camera and notepad and we checked out the stairs up to the roof. 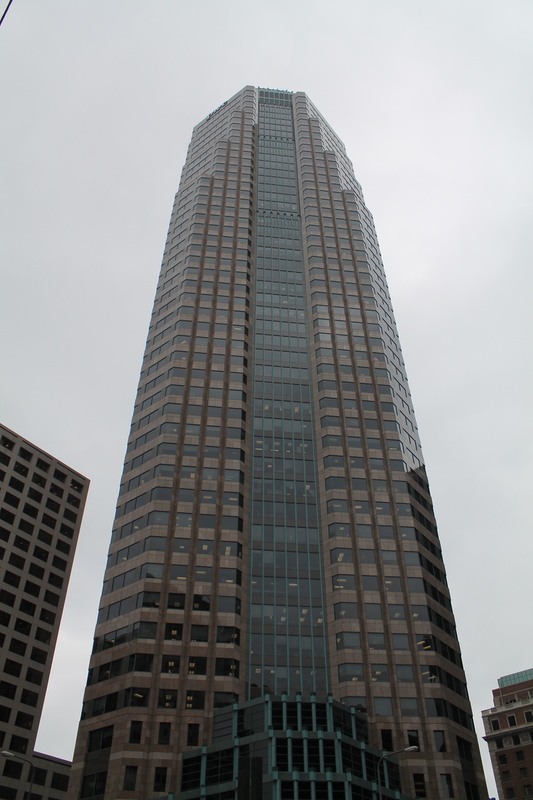 The final count came to 1,245 steps from the ground-level door on 6th St up to the roof. That’s the equivalent of a bit over 54 normal floors in that building. After surveying the stairs, I got back on the train, and I took Metro Rail to the Norwalk station on the Green Line. That’s right off the 605 freeway, which is how we get to Disneyland, so I met up with Kathleen there, and we headed on to Disneyland. We did all the usual things there. 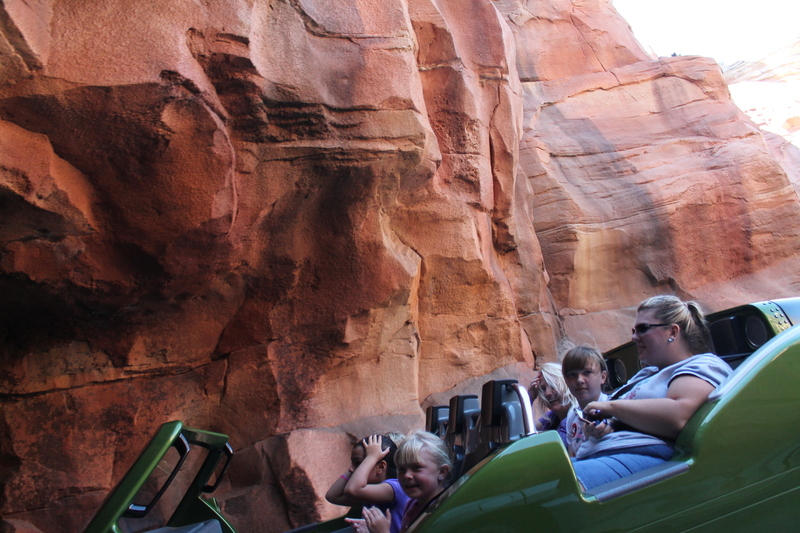 We even rode the new Radiator Springs Racers ride for the first time. The line for that thing has been insanely long ever since it opened. 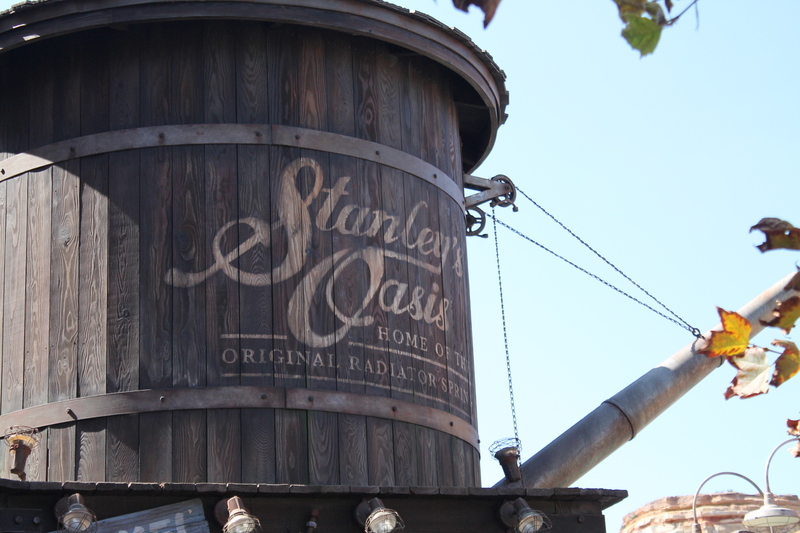 But today, the line was only a bit over an hour, and the single-rider line was very short. So we went in as two single riders, and we were on it in under 10 minutes. It was entertaining, but I’m not sure it’s an-hour-in-line entertaining. 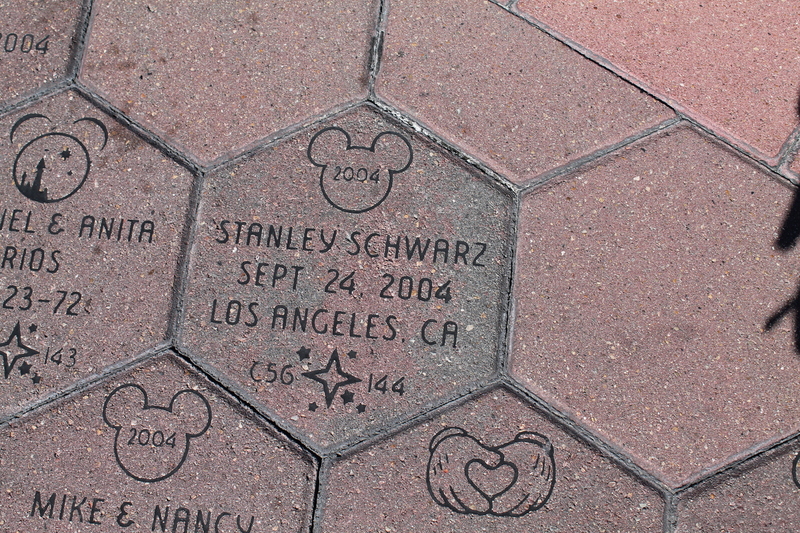 On the way over to Disneyland, I saw that there’s a commemorative paving stone with my name on it. Even spelled the ‘right’ way. I wonder who it is, since I’ve never met anyone with my same name, spelled the same way. 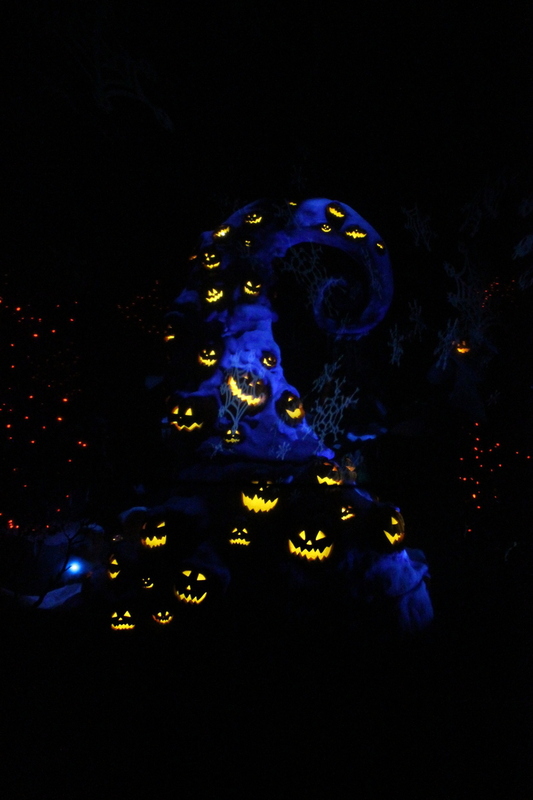 Disneyland was decorated for Halloween. And the Haunted Mansion was decorated for Christmas. Saves them a lot of work that way. I was able to pretty much forget about the government shutdown. And we ended with the traditional dinner at Ralph Brennan’s Jazz Kitchen in Downtown Disney. We had a nice day.